With new beauty trends emerging every day, each one with it’s own mantra, it can be hard to tell fact from fiction, ‘worth-it’ from ‘waste-of-time’. 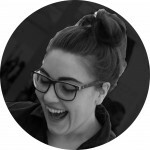 Committed to knowing all that there is to know in the industry, Clinical Coordinator for The Global Beauty Group, Brittnay Haines investigates further into LED Light Therapy Machines to see what all the hype is about (and if it’s deserved). Read on to see if this new curve in beauty therapy stacks up. 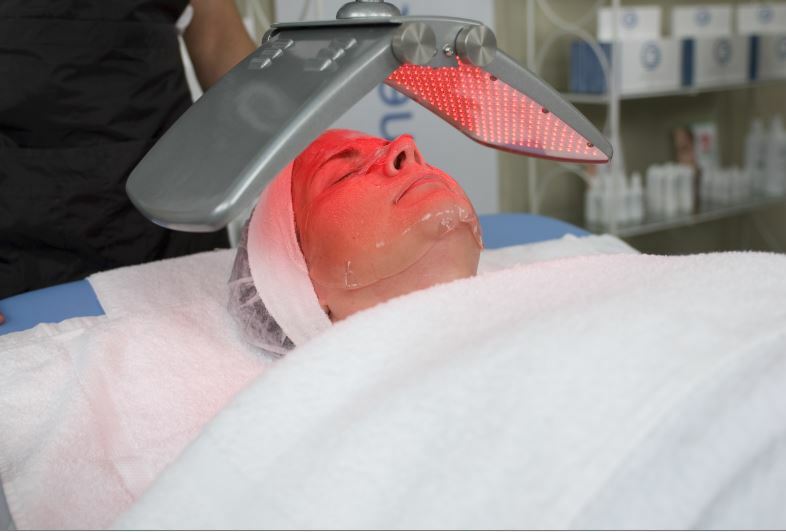 So what is an LED facial? Usually when we hear ‘facial’, we think of a few different creams, exfoliants, and treatments, but ‘LED’ really had our ears pricked. 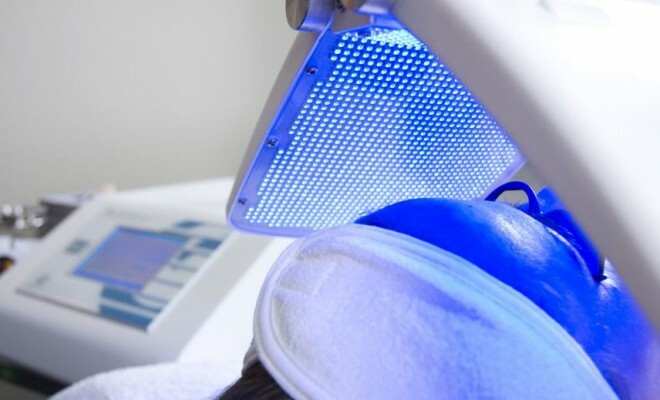 An LED facial, also known as LED colour light therapy, claims to boost your skins collagen production, skin cell renewal, improve barrier function, and treat acne. Using four clinically tested wavelengths of LED light, a machine designed to rest about the face radiates varying colours, all with various functions. The answer is a definite yes. The colours were studied and refined to their optimum standards, as only specific wavelengths have the desired effect, and it lives up to its promises. For example, it is a specific blue which targets the strain of bacteria known for causing acne, by causing the development of oxygen radicals that kills that bacteria without harming healthy skin. We owe someone a massive thank-you for discovering that. Green lights target melanocytes, which produce melanin from the bottom layer of the epidermis. By inhibiting this production, melanin clusters break up and discoloration diminishes. Yellow light is great for a boost to lymphatic flow and cell growth, as well as working to flush waste from the skin and treating sun damage. Yellow is calming and soothing for sensitive skin, which is why it is frequently recommended for conditions such as redness, rosacea, and reduced appearance of blood vessels. Red improves the skins ability to generate new collagen, especially after it’s own cycle has slowed due to damage or age, and is believed to zero in on the skins oil glands, reducing pro-inflammatory substances believed to contribute to chronic acne. Immediately after the facial, your skin feels cleansed and revitalized… But a good exfoliator can achieve that. The real results come up within a few days, and then you know what everyone was talking about. It’s Photoshop for real life. The best part is that it’s suited for all skin types, and there is very little risk of reactions or allergies without the use of heavy chemicals or abrasion. Know someone with a birthday or celebration coming up? By complimenting with all skin types, this is also the perfect treat for those last minute gift vouchers. For beauty advice or beauty equipment contact The Global Beauty Group.